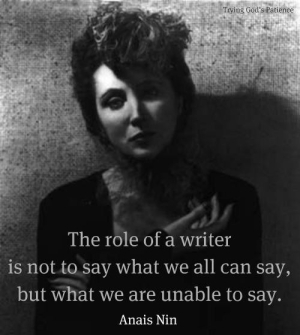 The role of a writer is not to say, what we all can say, but what we are unable to say. I am a man, and God is hiding from us humans. We are unable to see Him, we can only search for Him.